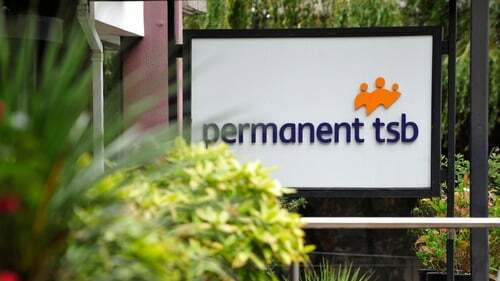 The Minister for Finance has said the board of Permanent TSB can, and has, moved ahead with the process to sell a portfolio of mortgages. Paschal Donohoe told RTÉ's News at One that he did not know who would buy the loan portfolio and he will be consulted on the sale at a later stage. Yesterday, PTSB confirmed it plans to sell loans connected to 14,000 private homes as part of its attempt to reduce the number of non-performing loans on its books. Mr Donohoe said he would re-examine the legislation in place to guard against mass repossessions. These regulations, he said, also ensured that people's rights would not be altered by the change in ownership of the loan. The minister also said he recognised the concern expressed over the sale. "I am deeply aware of the worry that a number of our citizens will feel in relation to this announcement and amidst these two very hard places, I'll be doing my best to be fair to everybody. "The legal framework that we have had in place has been successful in staving off the kind of repossessions that many feared would happen. I will look at that legal framework again." Mr Donohoe said the Central Bank has told PTSB that it needs to reduce its non-performing loans, and it is vital the bank is on a long-term, stable footing to ensure it would be able to withstand any future shocks. Meanwhile, Master of the High Court Edmund Honohan has described as "a sick joke" a letter sent from Taoiseach Leo Varadkar to a man seeking to avoid repossession of his home to contact mortgage arrears adviser Abhaile. Mr Honohan said he has people in his court, on a daily basis, who are struggling to hold off repossession, and he had asked them to contact the Taoiseach to see where they could find mortgage-to-rent as a solution. He said Abhaile is of no use to these people because it is "merely a voucher for €250 worth of legal advice" before you go to the Circuit Court. Speaking on RTÉ's Morning Ireland, he asked why the Taoiseach's office is so misinformed that it is unable to formulate a reasonable policy to cope with the wave of repossessions that is about to break. He said that, if community funding could be resourced, then co-op housing would be the way forward, pointing out that over a million people in Norway live in co-operative housing. He described co-op housing as a "friendly vulture" who would take over the non-performing loans and remove them from the bank books. Regulation did not, he said, help those in arrears who do not have the money to do a deal. Mr Honohan has written a new bill that would give greater powers to the State's financial and legal support services and stronger protections to people who are in mortgage arrears. However, he said no political party had indicated support for his bill and that this "is a cross-party effort". He said he was "using the good offices of John McGuinness (Fianna Fáil TD) to lodge it". "The disaster affects voters of all parties and none, and a cross-party effort is what's required at this stage, rather than the pretty superficial commentary from all sides". He said Senator David Norris introduced the last bill, which he described as a "first draft of this". In relation to the PTSB mortgage situation, he said if anyone asked him in court what they should do next, he said he would tell them that "they must appeal the Circuit Court Order and approach a personal insolvency practitioner straight away". Mr Honohan said: "Nobody is giving them that advice. Why should they have to come to me in court to get advice? "It should be the Taoiseach who's telling them that". He said because there is no public money available for mortgage to rent, ethical co-operative funding "should be allowed to come in and take up where the State has abysmally failed". He said he has been "pressed by a number of TDs who have spoken to other private individuals outside who are keen to get involved". Mr McGuinness, who is also Chairman of the Oireachtas Finance Committee, says the bill proposed by Mr Honohan would make Ireland less attractive to vulture funds if passed. Mr McGuinness told RTÉ's Today with Sean O'Rourke that he values Mr Honohan's advice and the bill he has put together. He explained that a well regulated industry, along with the establishment of an ethical fund, would make Ireland less attractive to vulture funds. Mr McGuinness warned that thousands of people were in danger of losing their homes if PTSB sold its loan book. Something drastic and extraordinary must be done, he said, if this was to be prevented. Mr McGuinness said the finance committee would decide later if it should bring in PTSB to explain what loans were being sold on, what the discount price was and establish why that discount price was not being applied to the individual cases. Fianna Fáil’s finance spokesperson has said that making vulture funds regulated will not solve every problem, but it will introduce a degree of accountability; of transparency and will give greater protection to vulnerable customers. Michael McGrath was speaking on RTÉ’s Drivetime in relation to the party's proposed bill to regulate vulture funds in line with Central Bank policy. Deputy McGrath said that it is his preference that Permanent TSB work through their loan book on a case by case basis, restructure and, as a last resort, take enforcement action. He said there is a gap in the legislation in allowing a sale of loan portfolio to unregulated vulture funds.